Rick Langston is a senior developer within the Platform R&D Division at SAS Institute. Rick’s responsibilities include PROC FORMAT, format processing, date/time processing, licensing software, SAS/TOOLKIT Software, and coordinating the support for various core-level subsystems in the Base product. He has delivered keynotes on various aspects of SAS for many regional and local SAS user group conferences since 1994. Rick is a graduate of the University of North Carolina at Chapel Hill. He has been a SAS user since 1977, and has been working at SAS Institute since 1980. Vince DelGobbo is a Senior Software Developer in the Metadata and Execution Services group at SAS. This group’s responsibilities include the SAS/IntrNet Application Dispatcher and SAS Stored Processes. He is involved in the development of new Web- and server-based technologies, bringing 3rd-party metadata into SAS, and integrating SAS output with Microsoft Office. He was also involved in the early development of the ExcelXP ODS tagset. Vince has been a SAS Software user since 1982, and joined SAS in 1992. SAS Senior Technical Training Specialist, Charu Shankar teaches by engaging with logic, visuals and analogies to spark critical thinking. She interviews users to recommend the right SAS training. She is a frequent blogger for the SAS Training Post. When she’s not teaching technology, Charu is passionate about helping people come alive with yoga and is a food blogger. She also helps support candidates who are looking to land work using SAS through the SAS Canada training and career development LINKED IN group. 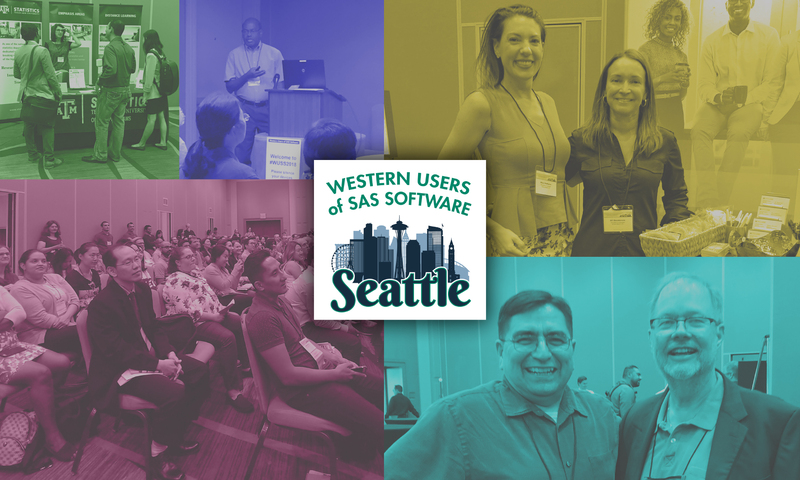 Charu has presented at over 100 SAS international user group conferences on topics related to SAS programming, SQL, DS2 programming, tips and tricks, efficiencies, new features of SAS and SAS Enterprise. Hired as a SAS instructor in 1987, Amy Peters taught classes and developed courses before taking responsibility for course development and then managing SAS Education’s Customer Service Department. She’s now in product management at SAS, responsible for SAS programmer enablement which includes SAS Studio, SAS Enterprise Guide, and the SAS University Edition. SAS Studio, SAS University Edition – What Does It All Mean for Me? Tim has been with SAS since 2000 and is the lead developer on the SAS Add-In for Microsoft Office and has been developing the product, from end-to-end, since its inception. Daria Rostovtseva is a Sr. Systems Engineer at the SAS Institute. Since joining SAS in 2014, Daria has been helping SAS’ State and Local Government customers leverage advanced analytics and data management solutions to improve the use of limited resources and better serve the public. Prior to joining SAS, Daria held consulting positions for the State of California, where she supported analytics of the California Medicaid program. Daria holds multiple SAS certifications, including advanced Base SAS programming and predictive analytics. She received her MS in Community Development from UC Davis and her BS/MS degrees in Sociology from Novosibirsk State University.